Add an effects pedal to your rig. What a great way to start the week. No monday morning blues here, just full on crunch, distortion and overdrive. We are playing with some Boss, Ibanez and MXR distortion effects pedals so we can write some reviews and description on our site. 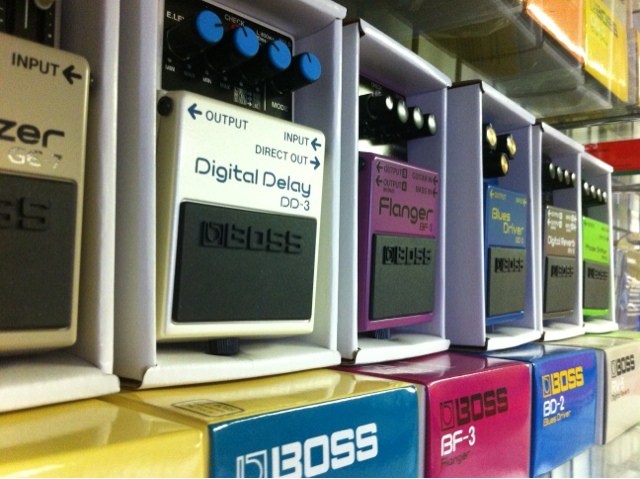 Check out our reviews of the boss, ibanez and mxr over drive pedals at Guitarbitz Effects Pedals page. 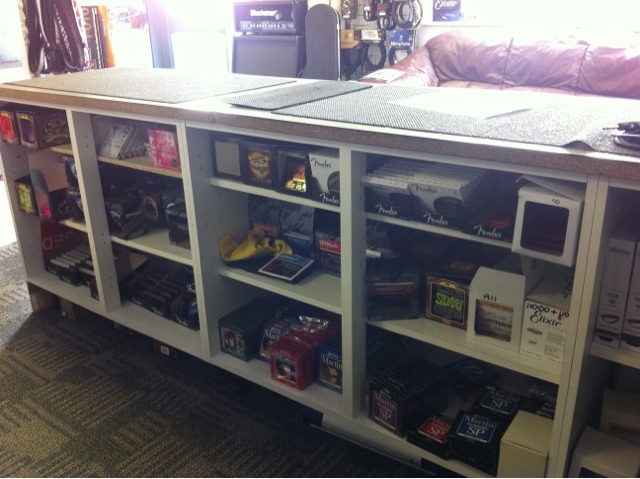 What's under the counter at a guitar shop? In most guitar shops you can see inside the glass counter, with lots of old effects pedals and some other bits and bobs that look like they have been there for 20 years. Well at Guitarbitz we don't have a glass counter. Instead we have a very useful space that is packed with guitar strings. From Augustine to Tanglewood guitar strings and lots of other brands including the worlds most popular brands; D'Addario, Ernie Ball and Rotosound as well as lots of others. Check out our range of guitar strings at Guitarbitz - http://www.guitarbitz.com/guitar-strings-c42. Guitarbitz Guitar Shop is looking for an Internet Marketing & Operations Assistant to assist us in optimising our site. Initially for a 3 month project to optimise the website with a permanent opportunity thereafter. Initial duties will include Search Engine Optimisation (full training will be given), article writing and product optimisation. After the 3 month project duties will alter slightly with on-going SEO, but an increasing level of warehouse and shop duties including order picking and assisting customers. Excellent writing, communication & computer skills are a must. An interest in guitars will be an advantage. Please email CV and covering letter to davin@guitarbitz.com. I got this guitar in blue for Christmas and its sweet. Real easy to play with low action, no string buzz and comfortable C profile neck. It sounds fabulous. Only let down is the gig bag- the zip failed on me, coming open in the middle, but the bag isnt made by Tanglewood plus I have a better one already. Top instrument! This website is the best. The delivery is very quick, it comes the next day or the next two days depending on where you live. the color is great and it comes with 2picks. the strings are solid.it's great for beginners and is the perfect size. THIS IS THE BEST WEBSITE !!!! !